Welcome to Crestline, California—the closest mountain resort town to the major cities of Southern California. At scenic Lake Gregory in the San Bernardino Mountains, visitors may enjoy fishing, boating, swimming, sunbathing and waterslides. Fitness buffs will find many hiking and biking trails, and Lake Gregory is ringed by a state-of-the-art fitness trail with exercise stations. Shoppers will find unique stores in our historic Old Town area and along Lake Drive in Crestline. The hungry have many great choices for dining. Those who would like to stay for more than a day can find excellent accommodations at the local inns or lodging in rental cabins that are offered throughout the town. 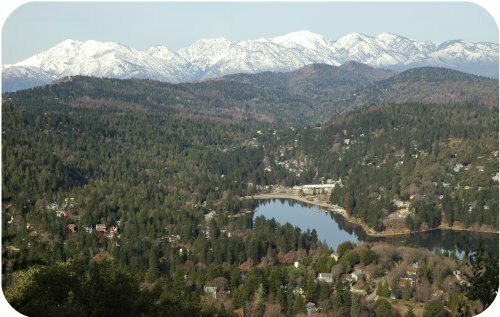 Take a trip to Crestline, the number one day drive mountain destination, to enjoy its natural beauty and take an easy break from the heat and congestion of the city. We welcome you to visit Crestline and Lake Gregory.